After Valentine's Day, the winter can seem to stretch on with no end in sight and no festive holidays as distractions. So who better to cheer us up by bringing a little sparkle to dull winter days than our fashion contributor Megan! 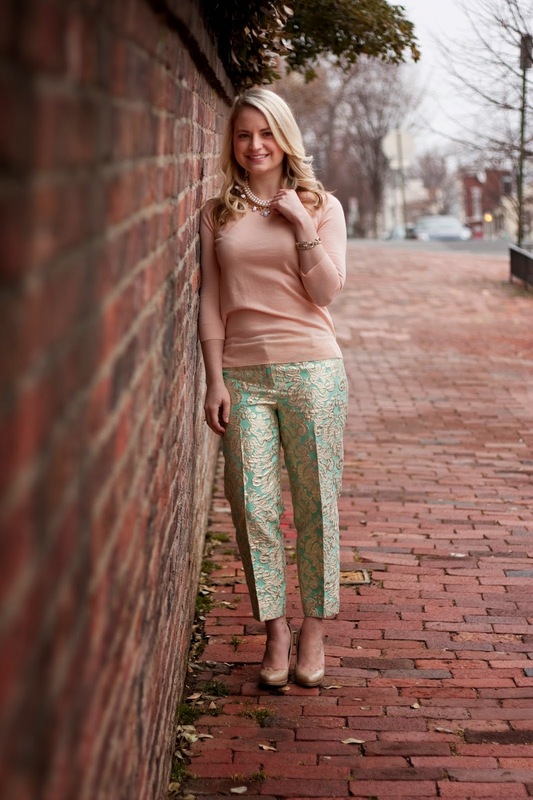 Megan: Fancy pants have become a staple in my wardrobe, and I love them not only for holiday festivities (like that gold number I wore on New Year's Eve and the pink pair for Valentine's Day) but also for the times that just call for something fun and celebratory. Like get togethers with friends. Or Tuesdays. In my book, there are very few occasions when a metallic pant would not be welcome. They can be as dressed up or as dressed down as you please, and they make for a memorable outfit without much more effort than jeans. Go ahead, wear the pants. Megan: Behold the pant that started it all - my very first pair of fancy pants. 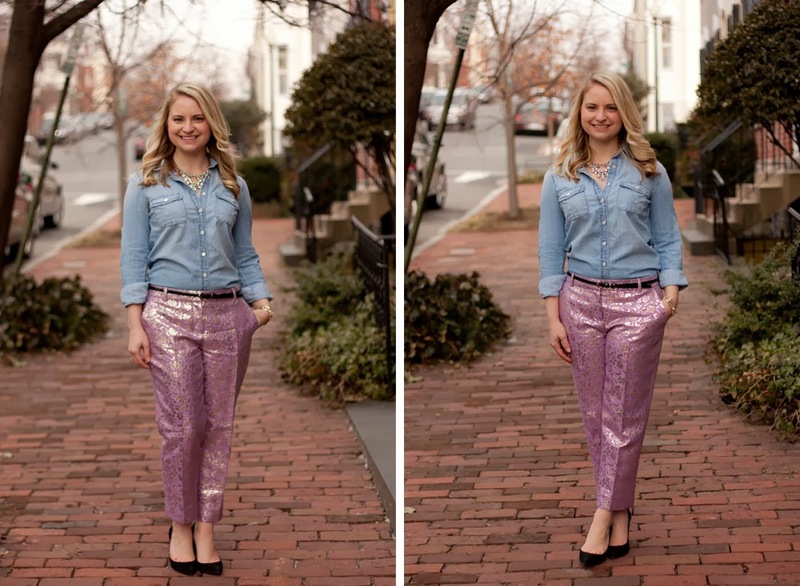 I bought these metallic brocade pants from J.Crew last year, so I was delighted to see that J.Crew Factory has come out with a similar version this season. 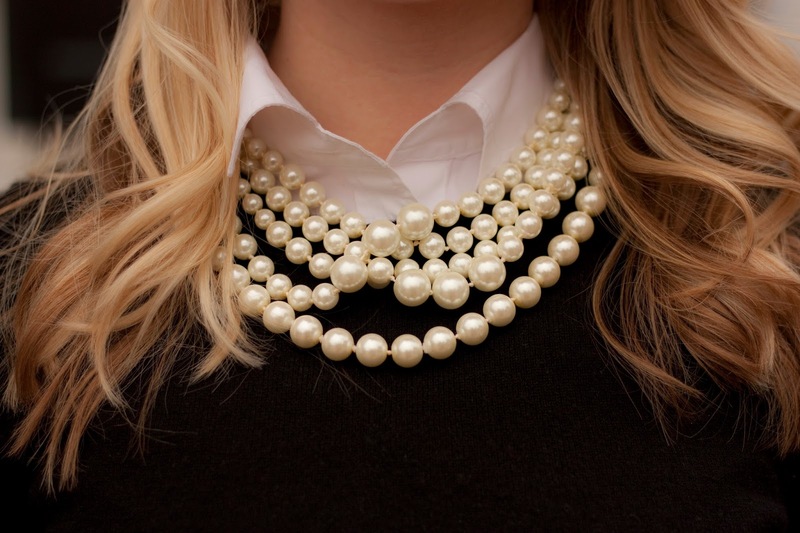 I've paired them with a peach merino sweater and layered this gold and pastel necklace with some vintage flea market pearls. Megan: Yes, these are the purple version of the gold pants from New Year's. Yes, I bought them in both colors. No, I am not ashamed because when you find what you love, go ahead and buy it in every color. I've paired them with a chambray camp shirt because I like the contrast of the luxe metallic fabric with the faded, casual aesthetic of the denim. The juxtaposition is sort of whimsical because sometimes you don't need to take lamé pants too seriously. 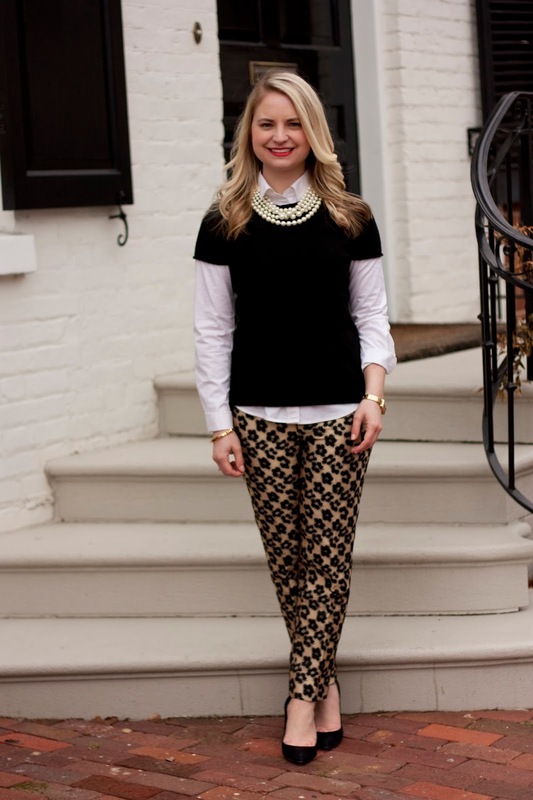 Throw on some rhinestones, anchor it with black accessories, and off you go! 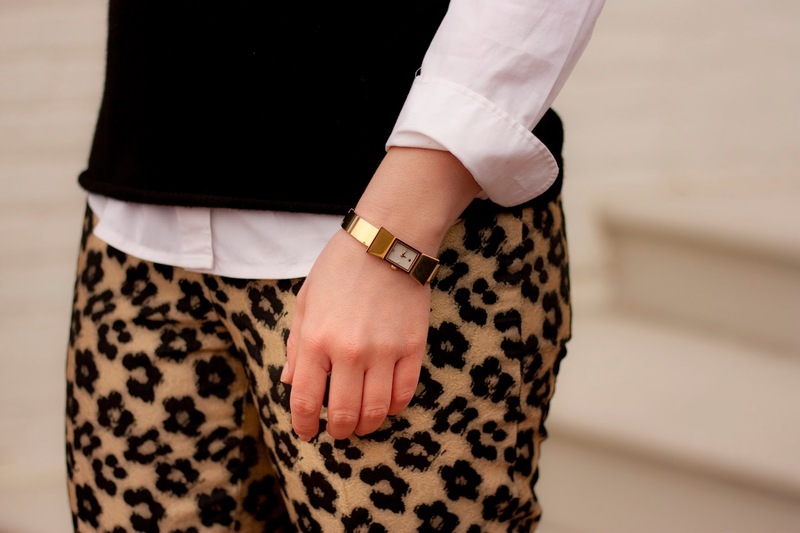 Megan: I've found that the topic of animal print is a divisive one, and here's where I stand: there's a broad spectrum of animal prints that ranges from Park Avenue grande dames to the cast of Jersey Shore, and when it's the former, I think it's terribly chic. 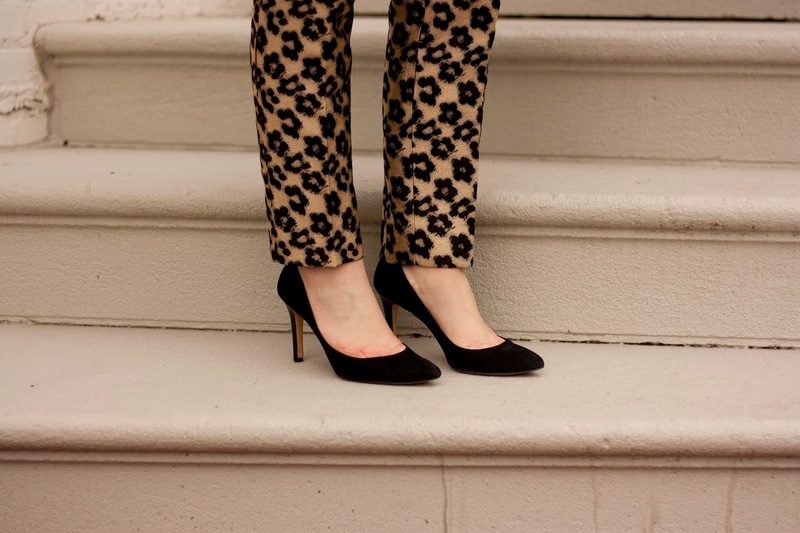 These pants mean business in a clever leopard / floral hybrid print, and I've paired them with a crisp white shirt and a black cashmere tee. I've kept the accessories classic to let the pants do the talking.